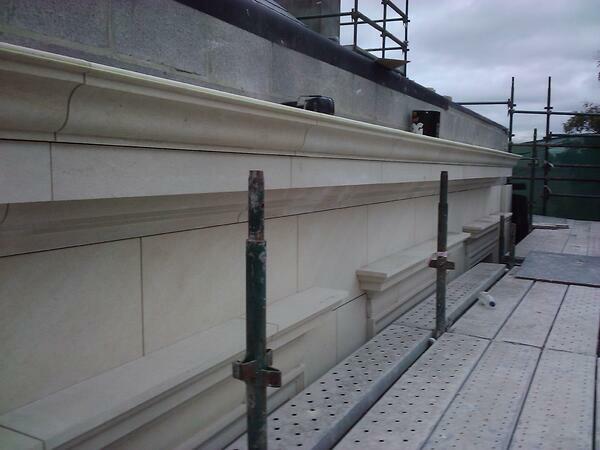 French limestone for internal and external facade cladding. At the recent Homebuilding and Renovating Show at the NEC in Birmingham, we had several requests from architects and self builders about the use of natural stone for cladding the external facades of new-build homes. There are many types of stone that can be used as cladding for buildings and many that are not suitable. So care is needed when selecting the right stone for the job. This is where we come in. We deal with many types of stone but our particular speciality is French limestone. There is a wide range suitable for both internal and external cladding, for domestic and commercial and for small and large projects. Many of our partner French quarries have high calibre stone with more than enough reserves for very large projects. They also have the highly sophisticated processing equipment that is needed to cut and shape the stone to accurate tolerances. 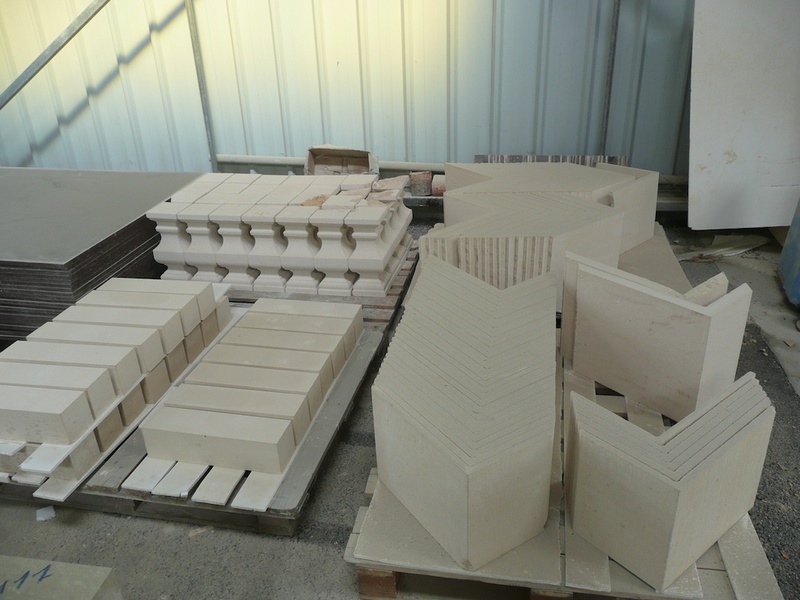 All the stone is tested and supplied with the technical data sheets required by the architects and specifiers. There is a long track record of successful installations dating back many years. 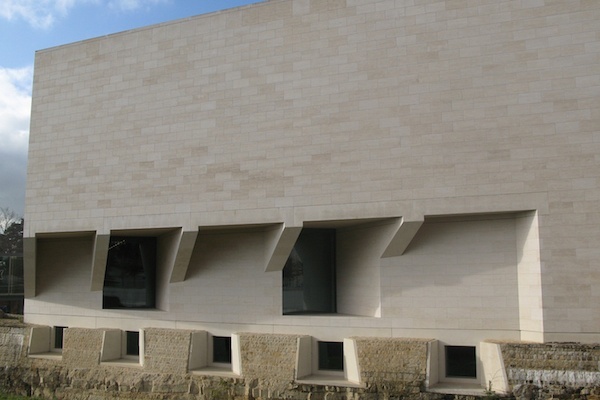 For large projects that require significant amounts of stone, our blog on Limestone for Major Projects will be essential reading. 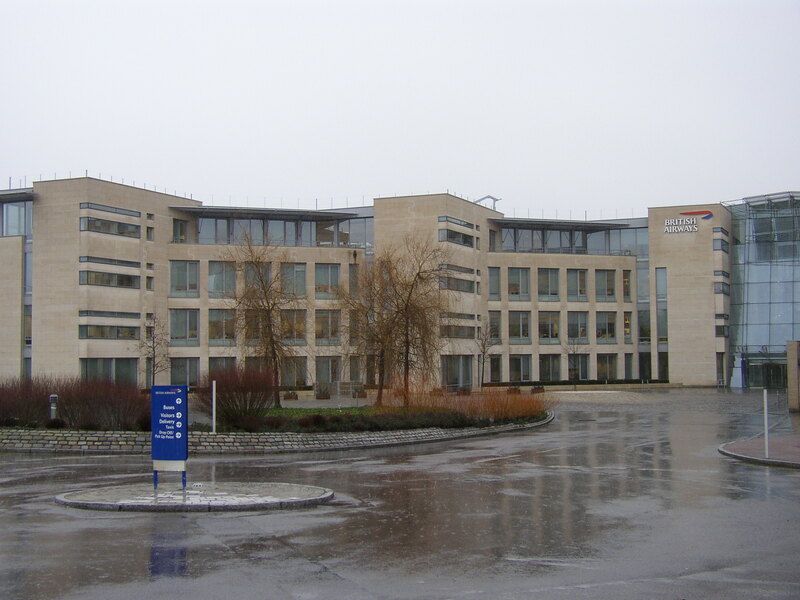 There are many different types of cladding fixing systems that are suited to natural stone. 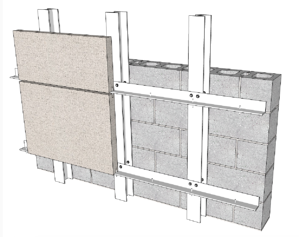 A basic method of screws and hooks to supplement standard tile adhesive may be sufficient on low level wall cladding. Other projects require mechanical fixings such as a steel frame with pins or steel plates to support the stone slabs. We recommend using the services of a specialist company that offers expert advice on which system to use. Stone Consultancy company, Harrison Goldman, a fellow Stone Federation of Great Britain member, is well placed to help. Once the fixing system has been identified, we liaise with the quarry's production team to make sure the stone is cut, drilled (if required) and shaped to suit the fixing and the design. For more details on the range of stone available from our partner quarries in France, please visit our page on French Limestone. 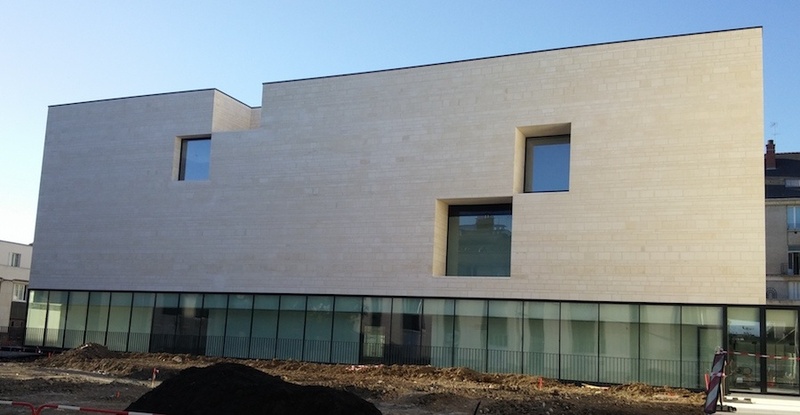 If you would like to know more about how we can help with your natural stone cladding project, please call us on 0345 260 80 70 or email steve@amarestone.com.